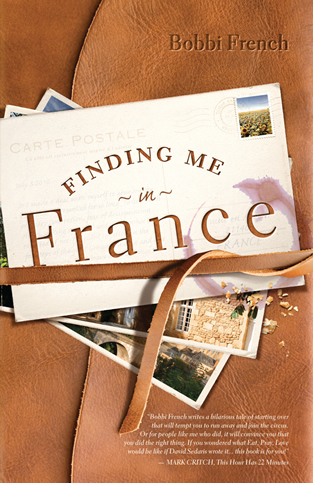 Finding Me in France is a thoughtful, funny, engaging memoir about a woman who did what all of us dream about sometimes — she walked away from her life, from a high-paying job for which she was very well-trained, and started all over again in another country. Newfoundland-born Bobbi French was an adolescent psychiatrist in Halifax when she convinced her husband (who didn’t take a lot of convincing) that they should leave it all behind and move to France. She abandoned her career, took advantage of the fact that she had an EU passport (because her father was UK-born), and went to a village in France, initially with the plan of working as a vacation property manager. It’s a pretty huge upheaval for anyone, and Bobbi French does a great job of chronicling the down-to-earth reality of what exactly is involved in “living the dream,” which is not always so dreamy. Her struggles with the French language, the difficulties of finding a physiotherapist, a hairdresser, and intimate hygiene products in another country, and the perils of embarking on yet another home-renovation project, are all depicted with wry, self-deprecating humour. Even more telling, perhaps, are French’s insights into how it feels for a previously independent woman to be unemployed (albeit by her own choice) and dependent on her husband’s income — as well as on his command of the language! French’s writing is lively and witty, and as an added bonus, the book is illustrated with beautiful colour photographs taken by the author and her husband in their new home. If the prose doesn’t make you want to run away to France, the pictures definitely will. And if you do run away to France, temporarily or permanently, you’ll definitely wish you could share a pain au chocolat with Bobbi French while you’re there, because she sounds like great company. 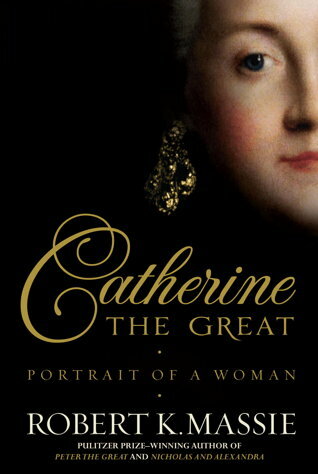 After reading a good novel about Catherine the Great, I wanted to read a good biography to refresh my knowledge of her. Years ago I had a book called Elizabeth and Catherine by Robert Coughlan, a double biography both of Catherine and her predecessor Elizabeth. Judging by the look of the spine as I glance up at it on my shelf, it’s one I reread several times, which probably explains why when reading Massie’s recent biography of Catherine, the details of her life quickly began coming back to me. Catherine’s life is a great, epic story stretching across sixty-plus years, the vast Russian landscape, and a half-century of events in Europe including the Seven Years’ War and the French Revolution. This biography is highly readable and engaging. It’s definitely written for the average, non-scholarly reader and there were times I wished Massie had dug a little deeper into his sources or given us more background. For example, Massie presents Catherine’s explanations for her own actions and motives in her Memoir (which covers her early years but was written much later) without much critique, whereas I think it would often be more interesting to explore why Catherine presented herself, or others, in a particular light — I suspect the Memoir tells us much more about the older Catherine who wrote it than it does about the young Catherine it describes. I finally got around to reading this young-adult blockbuster, not because the movie was coming out, but because my daughter, an avid Hunger Games fan, convinced me to read it. I’ve heard so many great things about the series — from kids, from reviewers, from other adult readers. So I came in with high expectations, and I wasn’t disappointed. It’s a compelling futuristic dystopia, the plot is a page-turner, and the characters are strong and well-developed. And there’s a lot for a mom to discuss with her pre-teen daughter after they’ve both finished reading it. Warning: If you haven’t read the books yet, and plan to, this review will contain spoilers. Even people who haven’t read the books or seen the movie may have heard the basic premise by now. In a dystopian, post-catastrophe North America, twelve resource-producing “districts” are ruled by an autocratic government in the Capitol, where people live lives of luxury and ease off the profits of the backbreaking work people do in the Districts. In their bread-and-circuses quest for entertainment: the people of the Capitol have taken reality TV to the next level. 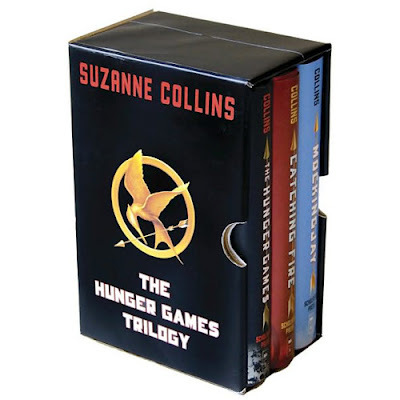 Every year, 24 young people culled from the Districts are forced to participate in the Hunger Games, a televised fight-to-the-death that amuses Capitol residents while reminding people in the Districts that the Capitol holds the power of life and death over them. Katniss becomes a competitor when she volunteers to compete in place of her younger sister, and ends up unintentionally becoming the face of a revolution. If you asked, I wouldn’t have said I was particularly interested in Ernest Hemingway. I still have bad Old Man and the Sea flashbacks from Grade 11, and none of the Hemingway novels I tried to read in college really did it for me. I’ve occasionally advised “Read Hemingway!” to a young writer who’s given to over-writing long, elaborate sentences, but while I appreciate his place in American literature, the only book of his I ever really enjoyed was A Moveable Feast. 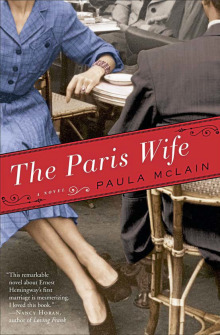 That memoir, written late in his life, covers the same years as Paula McLain’s novel The Paris Wife treats in fictional form — Hemingway’s early years as a young writer in Paris and his marriage to his first wife, Hadley. It’s Hadley’s first-person perspective that McLain recreates in The Paris Wife, and I found it absolutely engaging and believable from the beginning. What impressed me was that she managed to portray the young Hemingway so convincingly that I fell in love with him as Hadley did — and experienced his shortcomings as a husband and the pain of his betrayal along with her as the marriage crumbled. The world of ex-pat American and British writers in Paris in the 20s is vividly rendered, and so is the portrait of a woman who dedicates her life to supporting her husband’s art — only to find herself discarded as an unsuccessful first draft. I’ve read some bad reviews of this book by reviewers who found it, and Hadley, dull, but I have to say I was completely caught up in it and found it hard to put down. Oh, A.J. Jacobs always makes me laugh. And often makes me think. Whether he’s striving to follow every precept in the Bible, or attempting to assimilate the sum total of world knowledge, he’s invariably entertaining and readable. Yes, I do blame him for the “I did something quirky for a year and got a book contract” phenomenon (and, in my proudest moment ever as a book blogger, Jacobs commented here to apologize for starting that trend) but he does it so much better than most of his imitators. So I wasn’t about to bypass the opportunity to read about Jacobs’ attempts to become the healthiest man alive by following every principle of healthy living he could find — even the ones that flatly contradicted each other. So he follows several different diet plans, from the raw-food vegan diet to the caveman all-meat diet; he experiments with every imaginable form of exercise, including completing a triathalon; he meditates to reduce stress, wears noise-cancelling headphones, and consults everyone from doctors and dieticians to his ninety-six-year-old grandfather and his health-nut aunt who sees deadly toxins under every plastic shower curtain. There’s a lot of genuinely sensible advice mixed in with a healthy dose of craziness, and, as with Jacobs’ book on the Bible, there’s serious attention given to the problem of how to choose the correct path when surrounded by so many seemingly contradictory pieces of advice. There’s nothing scholarly about this book: it’s an Everyman’s guide to navigating a world we all find increasingly confusing and difficult. Are eggs good or bad for you? What about jogging? Bread? Eight glasses of water? The competing voices of those claiming to have the secret to a healthy life can overwhelm the average person to the point where they just give up. 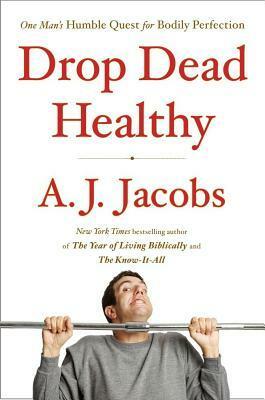 In this book, Jacobs doesn’t give up — he listens, talks to people, sometimes mocks them gently, tries even their most extreme suggestions, and emerges with some common-sense rules that he applies to help him live a healthier life. This is a great piece of historical fiction. Subtitled A Novel of Catherine the Great, it’s really about the years before Catherine became the Great, beginning when she’s brought to Russia as a (relatively) poor, insignificant German princess named Sophie, to marry the Grand Duke Peter. The novel follows the twenty years from her arrival to her seizure of power. It’s all told through the eyes of a fictional character, Barbara (Varvara in Russian), a palace servant who becomes a spy and a close friend and ally to Catherine. Barbara is unswervingly loyal to Catherine amidst the power struggles of court, but how loyal can a ruler be to her friends and servants? This is the question at the heart of the story. I read one nonfiction book, Robert Coughlan’s Elizabeth and Catherine, about this era in Russian history, many years ago. 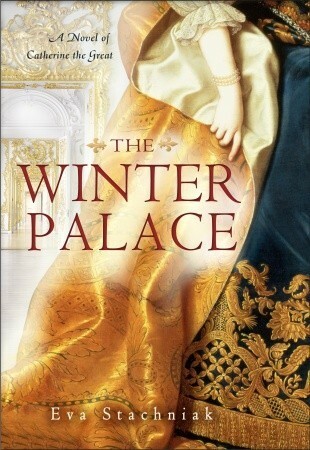 It’s not a period I’ve delved further into, but I retained an interest in it from that book, and The Winter Palace was a wonderful way to revisit that world through fiction. I now want to read Robert Massie’s biography Catherine the Great, and I’ve heard that Eva Stachniak is working on a sequel to The Winter Palace, set in the later years of Catherine’s reign. If that’s the case, I’ll devour that one just as eagerly when it appears! This memoir was a great choice for my last LentBook of the year, although there’s nothing specifically religious or spiritual about it. In fact, a strict religious upbringing (in a Pentecostal church in the north of England) was one of the reasons why the author’s childhood was as narrow, restrictive and difficult as it obviously was. However, Winterson is a perceptive and thoughtful enough writer to do what far too many writers don’t or can’t do in writing about narrow religious worlds: she shows the richness, depth and joy of that world even as she shows why it was a world impossible for her to live in. She celebrates the fact that the church, so central to the lives of her adoptive parents, gave many working-class people the sense that their lives were part of something bigger and more important than the daily routine of work, and though she obviously doesn’t share the belief system, she laments the fact that many people’s lives are poorer because that sense of purpose has been removed with the decline of Christian churches in communities like the one where she grew up. All that said, it’s pretty clear that Winterson’s adoptive mother was on the far-right-crazy side of conservative Christianity, and that a hellfire and brimstone religion was a natural match for her obsessive-compulsive personality — also that it was a bad match for Jeanette, a bright, rebellious girl who as a teenager fell in love with another girl and was kicked out of the house at sixteen. She went on to get an Oxford degree and become a critically acclaimed novelist — but she continued to be haunted, not just by her harsh upbringing but by the secret that lay behind it — the identity of her birth family. Why Be Happy When You Could be Normal? is a book about many things — adoption, abuse, mental illness, faith, doubt, the quest for love and family. Winterson first explored her background, and these themes, in her autobiographical first novel, Oranges Are Not the Only Fruit, which I haven’t read but now really want to. Some years later, she takes away the thin veneer of fiction and writes about the same characters and events directly, extending the story into her own midlife crisis and her search for her birth mother. Her honesty is raw, fair-minded and very appealing — while meeting her birth mother is obviously an important step, she doesn’t pretend it was the perfect happy ending, and while her (now long dead) adoptive mother was abusive and unkind, Winterson views her with compassion: as she says, “she may have been a monster, but she was my monster.” A rich, thought-provoking and very satisfying book.